Are you a fan of the earlier Fire Emblem games? Those were the work of Shouzou Kaga, who left after the Super NES days and made two games with Tirnanog: Tear Ring Saga and Berwick Saga. The first game is very similar to its predecessor, but this second title brings its own ideas. Like a hex grid! 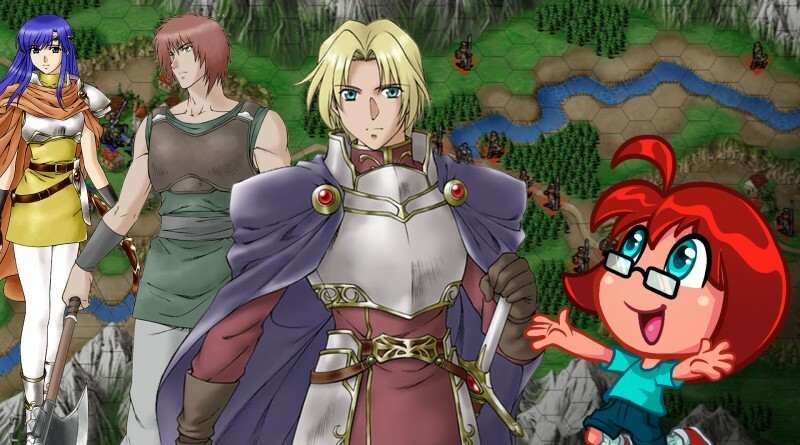 If you’ve heard about Kaga recently, it’s likely because of his latest project: a free game called Vestaria Saga he’s making with the SRPG Studio creation software. He’s been largely missing from the game scene since the release of this game in 2005, so it’s nice to see that he’s alive and kicking. Topics include: Fire, eyes meaning playability, suspicious terrain, emblems, gaining and losing momentum, 170-plus prequels. Note: This episode suffered from a few echoing issues during recording. Apologies!